Cat Russell shares her life with her high school sweetheart, their son, and other ferocious creatures in the wilds of Ohio while writing short stories, composing poetry, and learning more about the craft every day. Her work has been published in Flash Me magazine, Metro Fiction, Beyond Centauri, and the ‘Best of Friday Flash – Volume One‘ and ‘-Volume Two‘ anthologies, as well as Poetry Quarterly and Three Line Poetry. 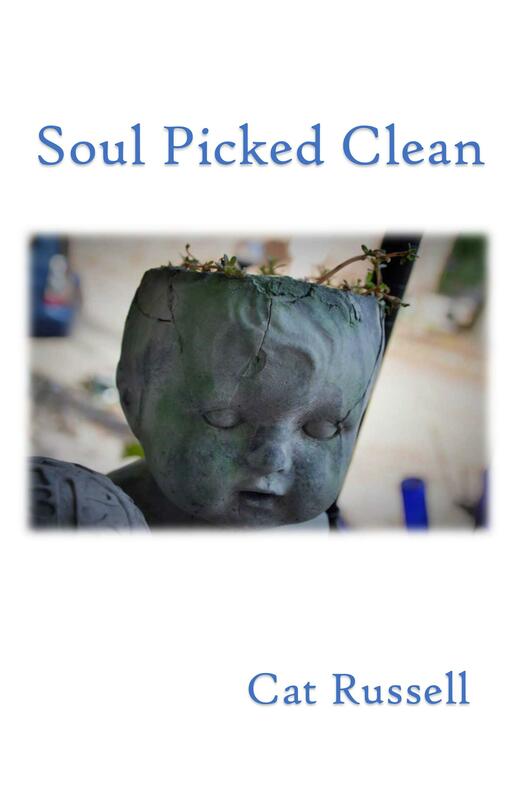 Her first book of poetry, Soul Picked Clean, published March 2019 by Crisis Chronicles Press. Cat Russell shares her life with her high school sweetheart, their son, and other ferocious creatures in the wilds of Ohio while writing short stories, composing poetry, and learning more about the craft every day. 2019-04-18: Kave Coffee Bar Open Mic Night in Barberton. Reading poems from Soul Picked Clean.